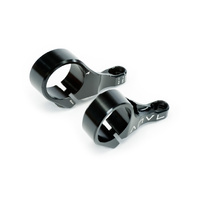 Developed for riders pushing the limits of freeriding, The Wedge bushing offers the most stability at high speeds when compared to the rest of our lineup. Wedge bushings provide increasing resistance as the rider progresses through a turn, providing a uniform lean and a rapid return to center. For those of you looking to push the speed limit while maintaining a predictable feel at ever increasing velocities, this is the bushing you’re looking for.